Just Another DIY Tuesday | mrs. and the misc. So a few weeks back I showed you all my son’s rustic playroom HERE. I saw another quick DIY project a few weeks ago that I just had to do. Here is the image that caught my eye and you can find the original pin HERE. 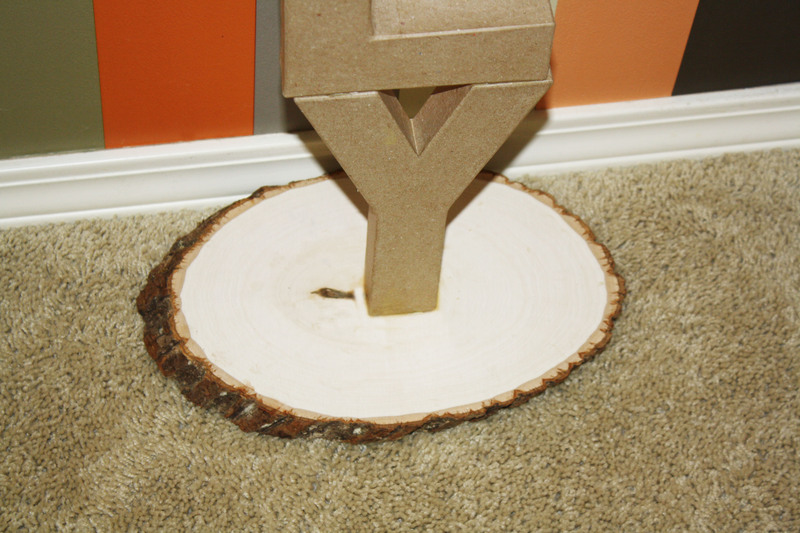 All you need is some cardboard or wood letters, wood glue and a piece of wood for the base. All of these things can be found at Hobby Lobby. Hot glue won’t work for this project, I tried and it was a major fail LOL. 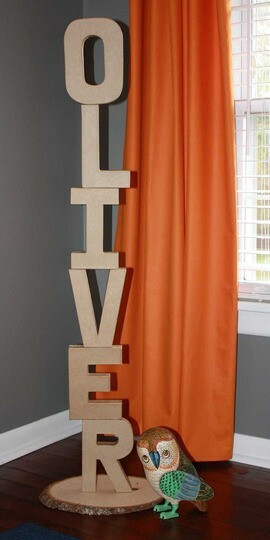 You could easily get a different wood base and paint it a cute color if you don’t have a need for the “outdoors” look. 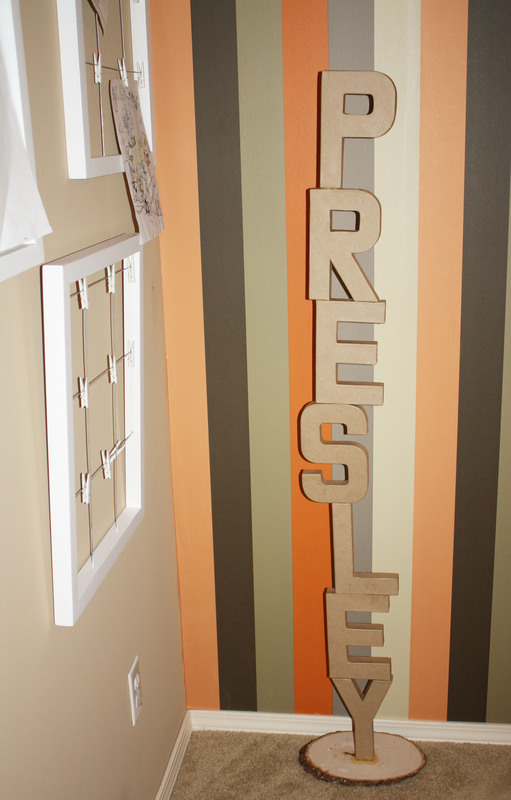 You could also paint the letter all kinds of fun colors. This would be a fun addition to any kid’s room! How adorable would it be to have kid’s paint their own letters?! I like the idea of having them paint their own letters. Super easy and super cute! I made this for my brother for Christmas this year. However, I pained the letters myself (I would recommend two coats of acrylic paint) and decoupaged a printed picture of Oshawatt on top of the wooden plank and it turned out amazing. I would recommend that you stack the letters in a way that won’t make it flimsy. Unfortunately with a name like Aaron it was a bit difficult to actually stack the letters un precariously and I should’ve added a wooden rod through the letters for added support. I also used E600 glue for all of my gluing needs. any questions, just email me!